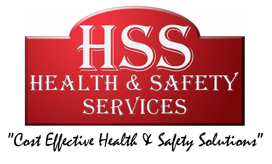 HSS Health & Safety Services produce policies for all types of organisations throughout the UK on a daily basis. We have designed a package which provides you with excellent value for all three main policies; Health & Safety Policy, Environmental Policy & Equal Opportunities Policy. All policies contain information tailored to your organisation which means you only get what is required. Health & Safety Law, HSE and Accreditation organisations all specify that an organisations policy should be written and contain information relevant to them, their work activities, and their workplace. It is relatively simple to buy an off the shelf policy but nine times out of ten, this will not be adequate for your organisation. With HSS Health & Safety Services you are able to buy 3 policies for the price of one and get them tailored to your company’s specifications all for an excellent low low price. Never has it been so simple! Our Policies are very comprehensive, easy to understand and well formatted.